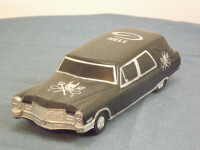 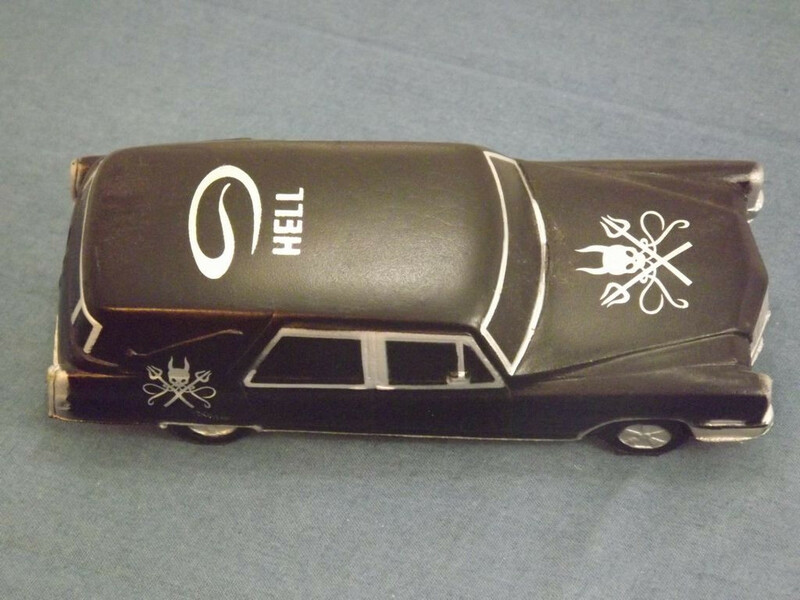 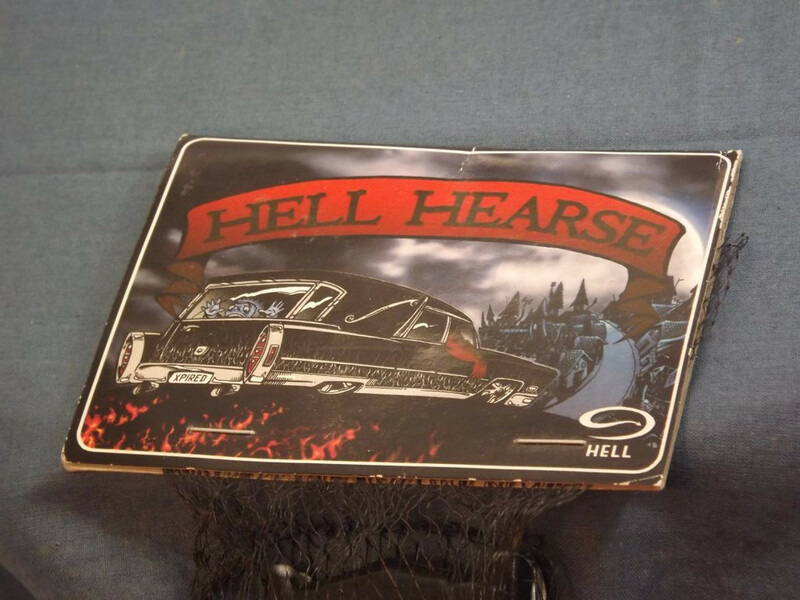 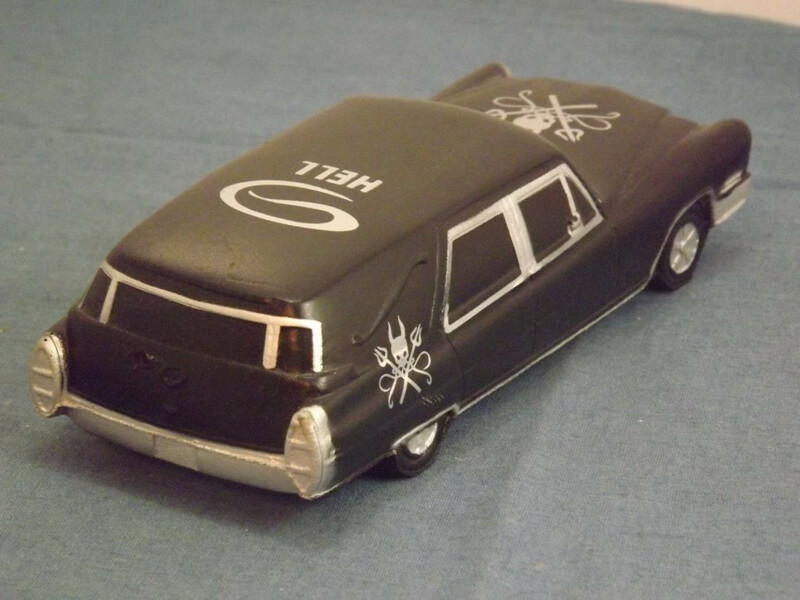 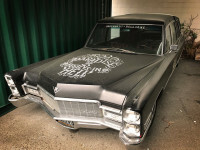 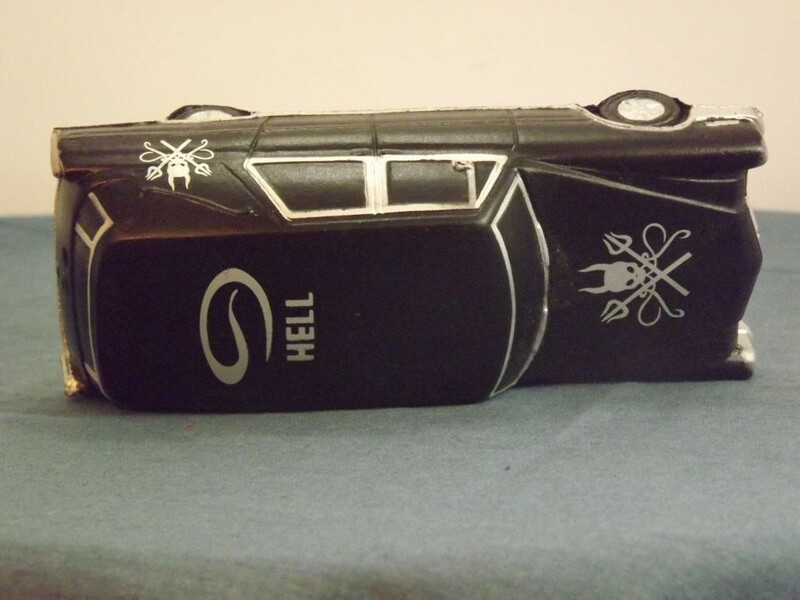 This model is the Hell Pizza Cadillac "Hell" Hearse in black with silver trim. 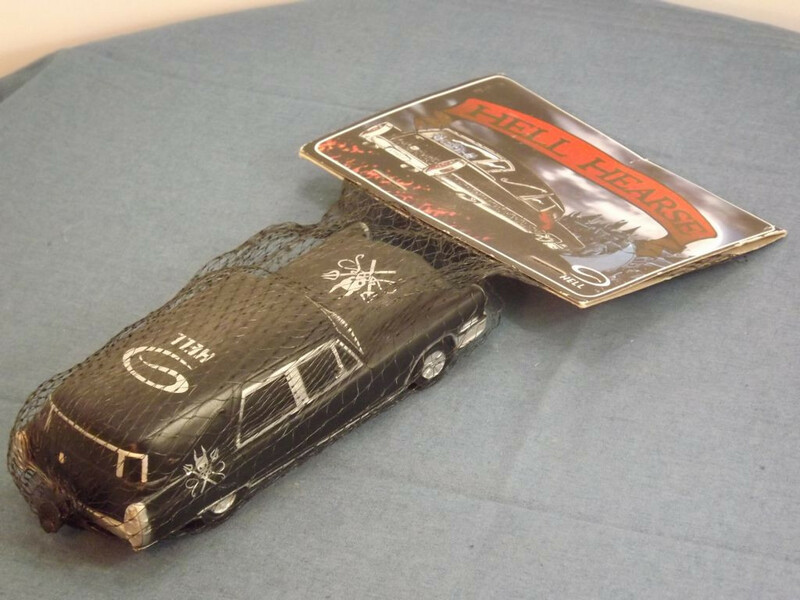 It comes with its original packaging. 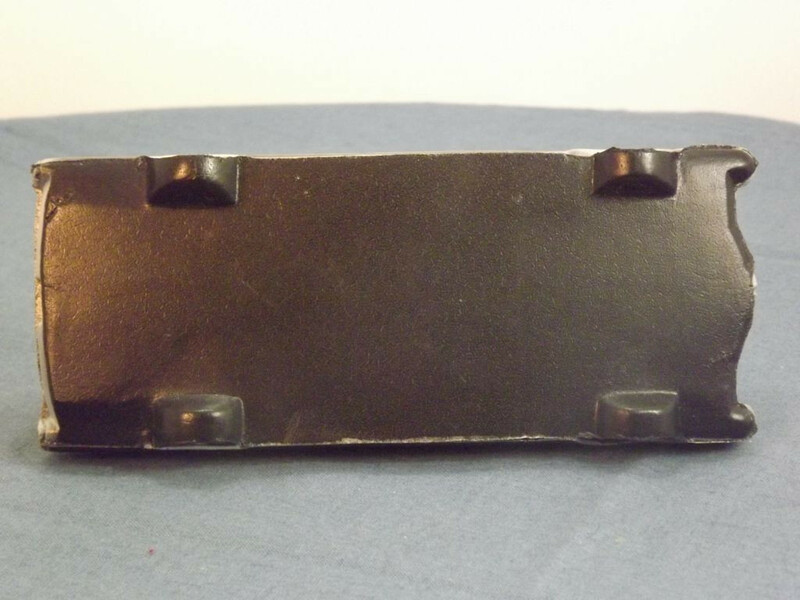 The model has no opening parts — indeed it doesn't operate in any way at all as it is simply a soft plastic compound shaped to look like the Hell Pizza promotional hearse*. 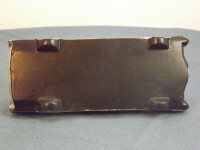 At the front the grille, headlights, bumper, and number plate are picked out on silver. 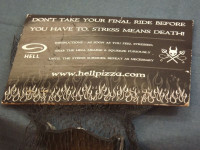 The bonnet is adorned with the Hell Pizza "Devil's Head" logo (I don't know how else to describe it!) 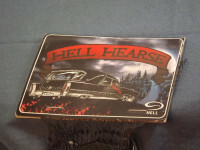 which also appears on the rear sides. 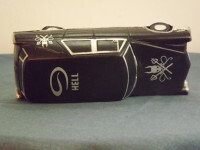 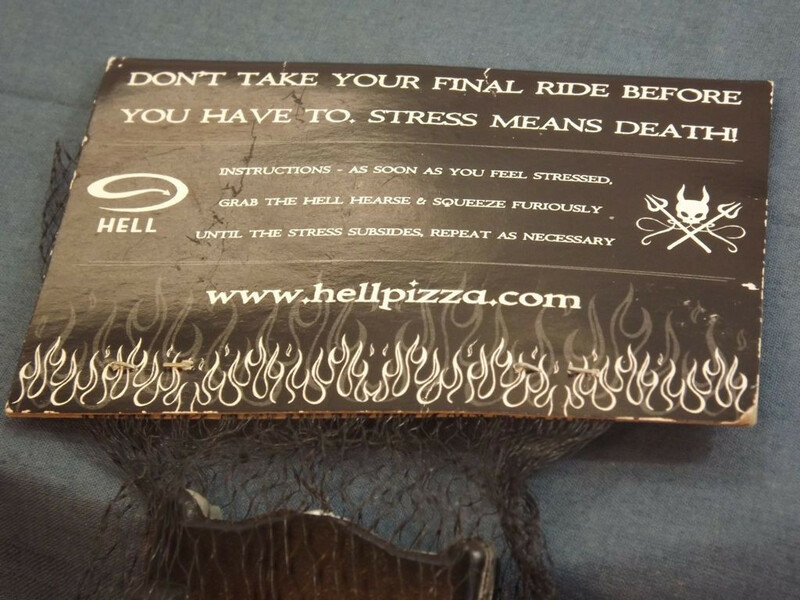 The classic Hell Pizza "Swirl" logo appears on the roof. 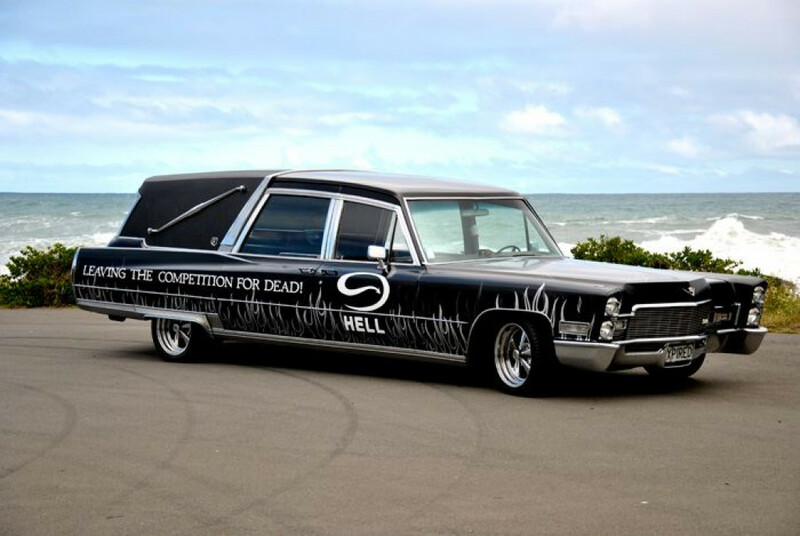 All windows are framed in silver, the rear bumper and lights are silver, as are the 5 spoke wheel hubs. The exact date of issue is not known but thought to be 2014 and I estimate the scale at 1:55 based on the length of the real vehicle (6.35m/250 inches). 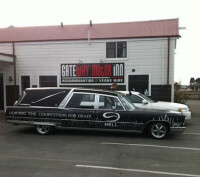 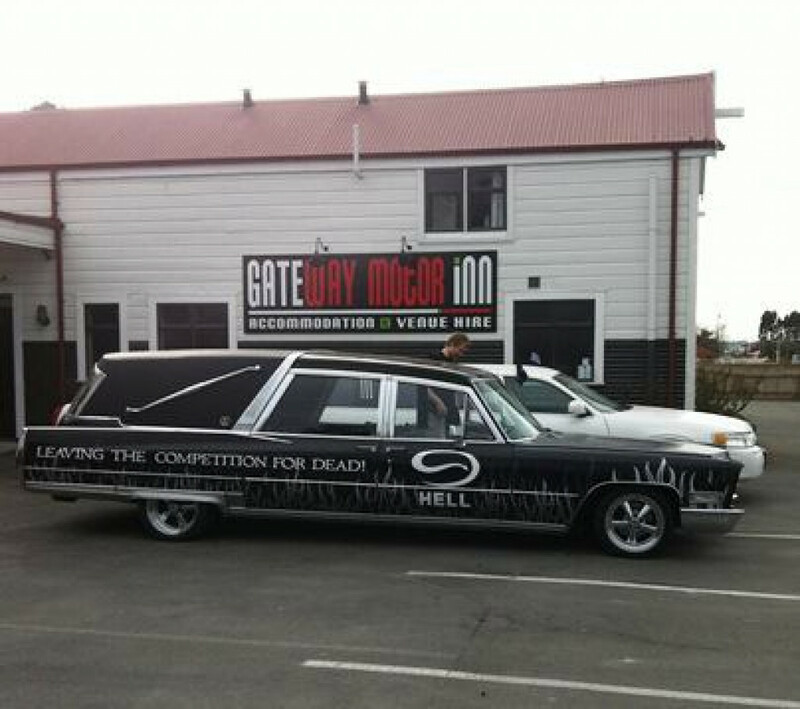 * At one time, the world’s fastest hearse, the car was originally owned by a Hell franchisee. 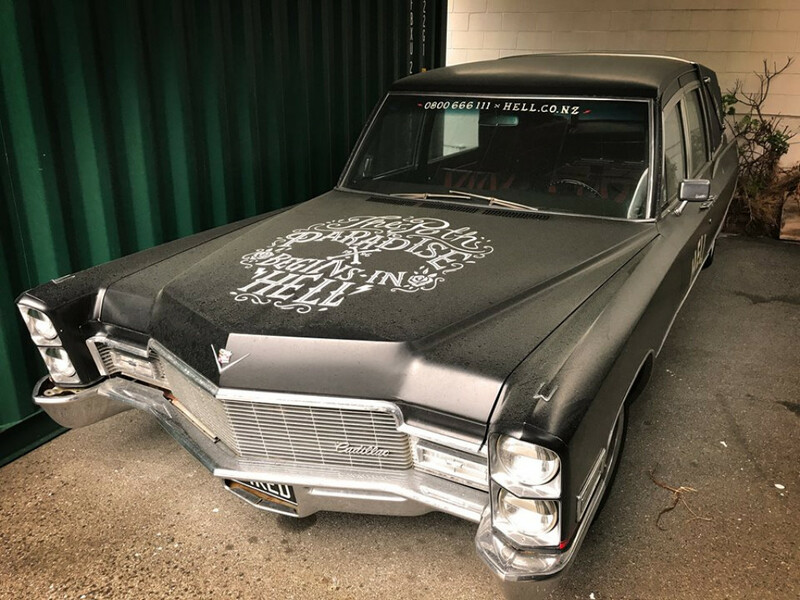 The company bought it off him, pimped it up, and registered it as the ‘world’s fastest hearse’ in the Guinness World Book of Records. 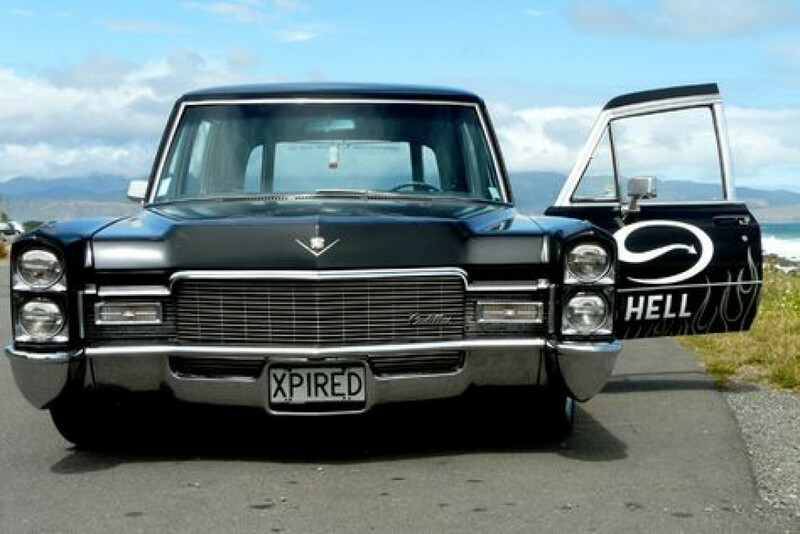 It was used around New Zealand for promotions and, on occasion, as a delivery vehicle!